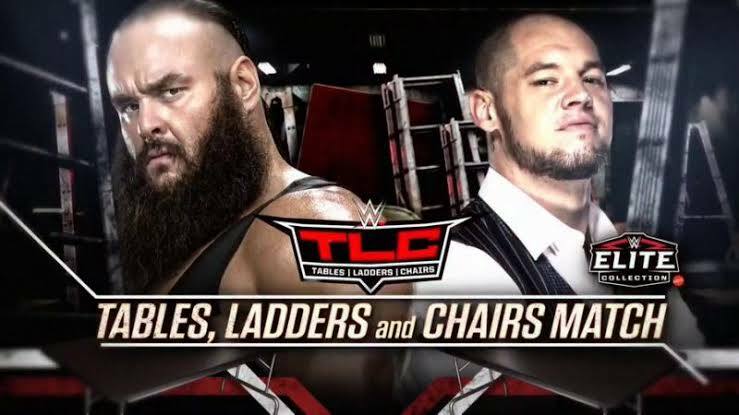 So WWE is back once again with another Pay-Per-View event, the famous WWE Tables, Ladders and Chairs or The TLC. Now that we’re talking about PPVs, we’re reminded of the long forgotten PPV Crown Jewel, which took place on November 2nd 2018 in Saudi Arabia. Not to mention, it was a disaster. So, one PPV again? Well, that’s what WWE is all about. Keep entertaining people even if you’ve one or two downs. 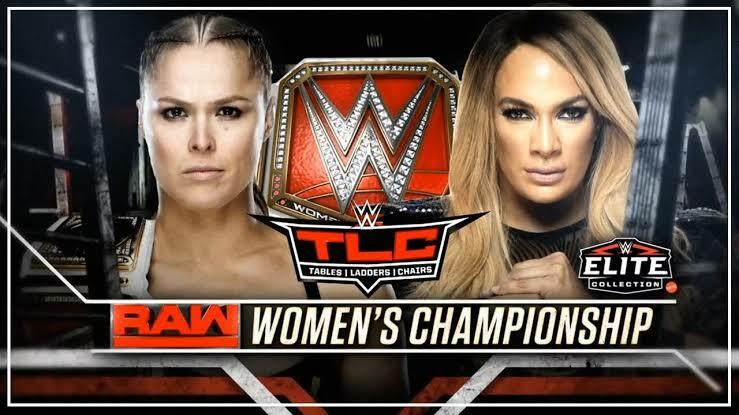 So, we now are going to witness TLC. 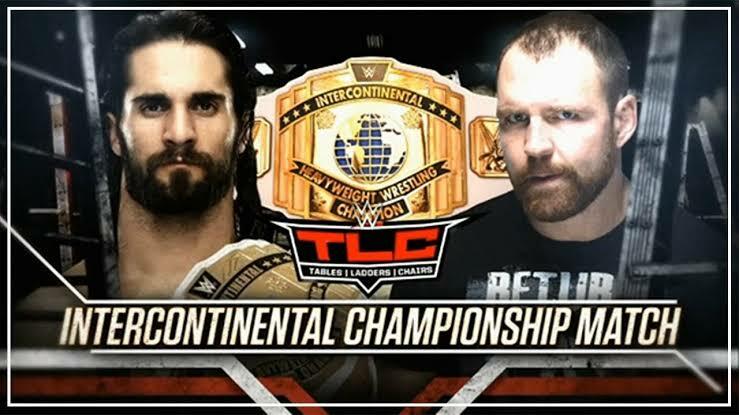 History describes TLC to be one of the best PPV events WWE conducts, and it should be the best this year after all the mayhem Crown Jewel caused. At least we hope so! WWE has already faced back-to-back blows, starting from the Crown Jewel, to the death of some superstars, to RAW facing crisis in viewership and attendance, to the biggest of all, Roman Reigns’ relinquishing The Universal Title and quitting WWE for a long time. After all these, we cannot afford another forfeit. 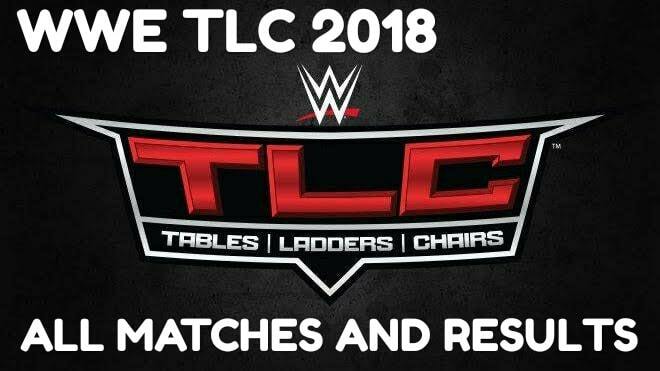 So far looking at the match card, The TLC 2018 is looking good on paper. And hope it just recovers the loss caused to WWE by the Crown Jewel. The SHIELD brothers are in a feud once again. After Roman Reigns left WWE for his battle against Leukaemia, Dean took his heel turn on Seth, once again. And by far this feud has been the support pillar for the weak RAW. After a series of sneaky attacks on Seth, Dean finally was put in a match against him. Or rather should we say, Seth got his chance to get his hands on Dean. This time, it’ll be for the IC Championship. Let’s see who swings up! Expect Dean to win a title after a long time. Baron has been grabbing the spotlight after his appointment as the Constable first, and then the Acting General Manager. He started his feud against Strowman and has taken it to a new level after injuring him badly by working with Bobby Lashley and Drew McIntyre. Braun was fed up with Corbin and things worsened after he cost Braun his Universal Championship match. Stephanie McMahon gave Braun his match against Corbin in the TLC. If Braun wins, he’ll get his title rematch against Brock Lesnar at the Royal Rumble, but if Corbin wins, he’ll become the permanent GM of RAW. Let’s see who wins. Fir the betterment of RAW, let’s see Braun win, if ever he fights! After getting a brisk beating in the hands of Charlotte Flair at Survivor Series, Ronda has to now focus on Nia Jax. The Irresistible Force wants so-called her title back. And she has her partner Tamina in her corner. Ronda has a big obstacle to overcome, and let’s see will she be able to overcome it or not. Expect Ronda to dis-arm Nia. 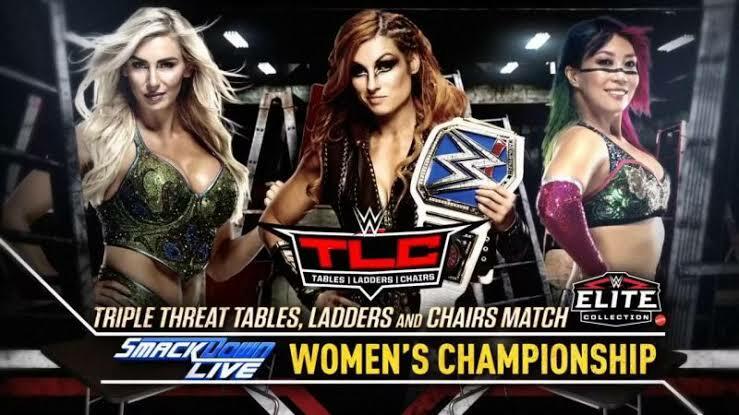 The first-ever women’s TLC match, thanks to Smackdown General Manager Paige. Becky Lynch is back from her injuries caused by Nia Jax and is looking forward to defend her title. Charlotte Flair just finished a beating session against Ronda Rousey and got her title rematch. Both were pumped up for the match when a twist came. Ask the women of SmackDown cane out and demanded a chance for the title, and hence a rumble match was arranged where Asuka win and got her shot. Triple Threat ? Expect Becky to crush her opponents. 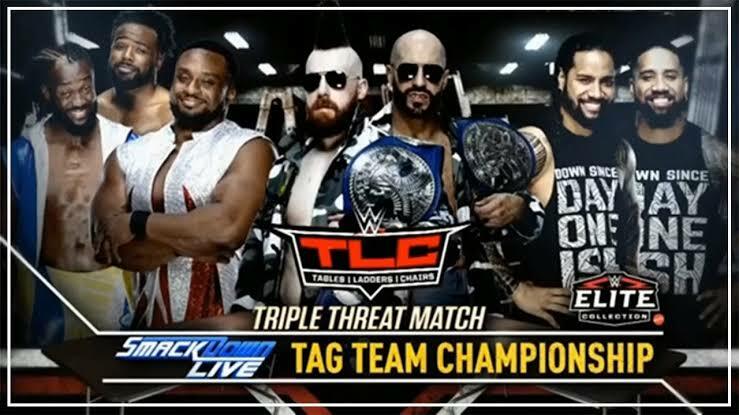 As compared to the RAW tag team champions The Authors Of Pain, the tag team scene in the blue brand has been a good one, but has been becoming a bit boring day by day. Let’s hope we get some new kick after this TLC. But, the question is, will The Bar be able to retain their titles? The blood has been boiling between the two since the recent few weeks, and Finn has been dominated by the trio of Corbin, Lashley and McIntyre. But the feud has been built between Finn and Drew. After he was beaten black and blue by Corbin, Lashley and McIntyre, Finn returned fir a revenge and cost Drew his match against his former ally Dolph Ziggler. 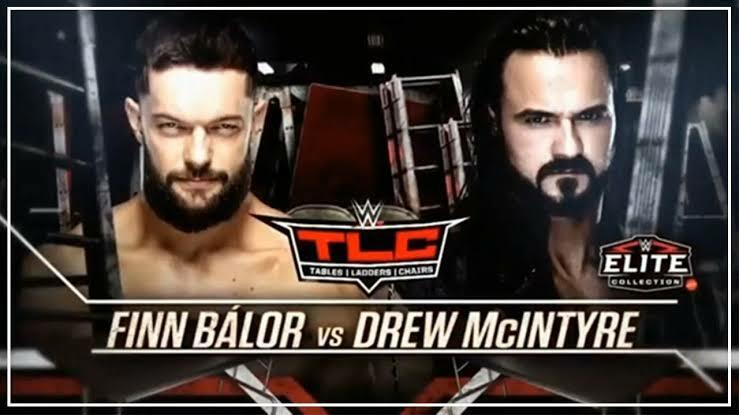 So the rivalry has been taken to the TLC, and we hope things square up here with Finn’s win, but rumours say that WWE wants Drew to win. Keep your fingers crossed! Hope things to go in a different way to see Drew win. After Leo Rush joined him, Lashley has got a boost in his performance. He took his heel turn and has been doing his work as a great negative since then, with partly teaming up with his heel partners, Corbin and McIntyre. And when things come to Elias, he couldn’t achieve much as a heel, so he’s been given a push by the WWE by making him the face. He’s among those who got beaten up by the Heel Trio. 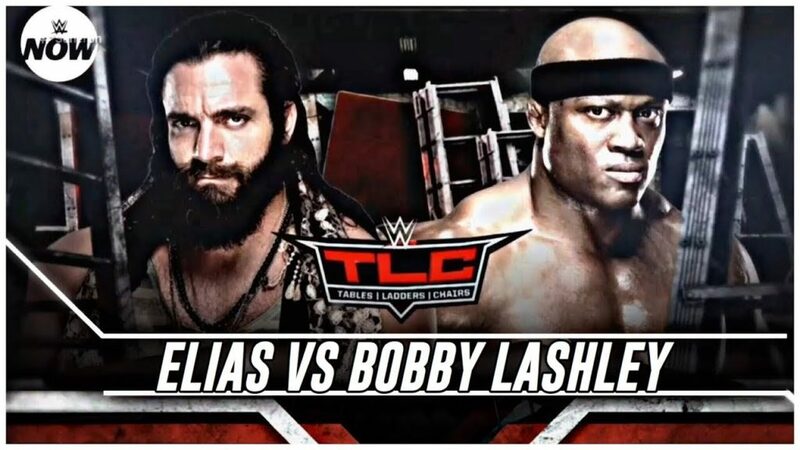 And hence he’s put on a match against Lashley. I get a feeling that he’s going to win. This rivalry started after Ruby Riott broke Natalya’s father’s goggles during a match. This hurt Natalya badly, in fact very badly. So, she went out for a revenge. After being continuously beaten by the Riott Squad, Natalya has finally got her chance to take her revenge. 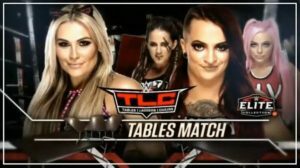 This match wasn’t previously settled, but after being crushed on a table by the Riott Squad, this match will be fun to watch. Expect Natalya to break Ruby’s hand into two! So these was the match card and hope that these matches are enough to bring WWE back to track. If this PPV fails, then God knows who’ll save WWE! But it doesn’t look like this one’s going to fail. Let’s see!